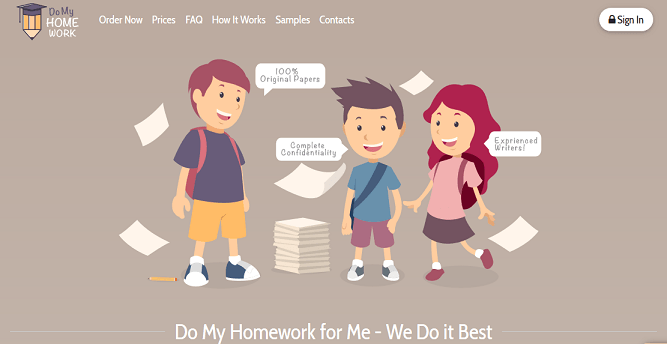 This is the review of the DoMyHomework.guru service, which promises to provide quality written papers with insanely low prices, complete support, etc. But before you sign up and create an account, you probably want to check out this review to see if the website is legit, or a scam. The DoMyHomework website is a bit odd, in that it has adorable graphics that move around and looks really safe and fun, especially when you login / sign in. That level of English really doesn’t inspire confidence that this is a safe, legal, quality service. But they promise the lowest prices, which might be tempting. But it’s important not to overlook the fact that the website seems perhaps a bit too fun and unprofessional. 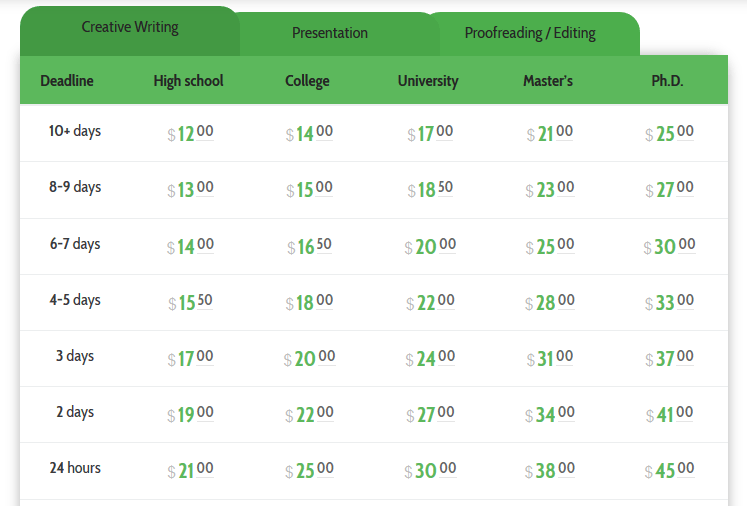 The prices at Do My Homework are some of the lowest we have seen anywhere, starting at $12 for a page and $6 for a slide. Normally this would be the price per page for a big order, but they offer these low rates from the very start. And as the degree goes up, the prices are even better compared to the average. $25 per page for a Ph.D. essay is pretty incredible. They do not have any discount code or free extras, but they don’t exactly need them at this price. They do however offer further discounts, which makes us pretty suspicious. After all, work takes time, and for an essay with full citations, $12-25 per page is already close to the wire. How much cheaper could this be done? When it comes to getting a refund it can be difficult, because they will only refund you if they directly violated their own terms of service, which are pretty tight. Buried in a load of pretty rambling text you find out that there is no standard for people to write your essay. 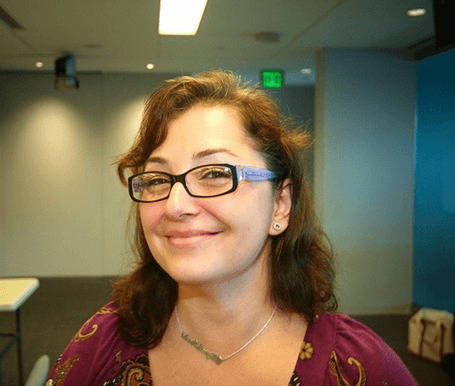 The writers don’t have to be experienced writers, degree holders, or even native speakers of English. Your order will be completed without plagiarism, cheaply, and quickly, but by basically a standard freelancer. If you want to contact support, the phone number is hard to find on their website. They do have an email, a contact form, a live chat, and a physical address. But if you need to talk right away and there is nobody in live chat, you’re out of luck. Although DoMyHomework.guru doesn’t seem to be an illegal website, it’s simply true that you get what you pay for. When a website is this cheap even before promotions, you’re not getting a deal, you’re getting some pretty amateurish work.